Between them, Irvine and Lunny have been at the helm of legendary bands like Sweeney’s Men, Planxty, The Bothy Band, Mozaik, LAPD and recently Usher’s Island. Their unique style of accompaniment is an ongoing influence in the wider world of Irish music. 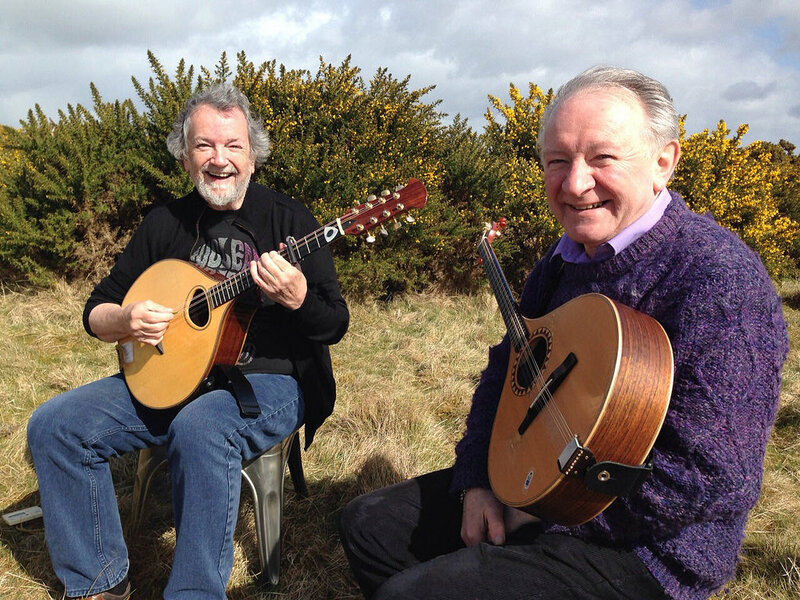 Andy Irvine and Dónal Lunny, in their separate ways, have contributed to a veritable renaissance in Irish traditional music. 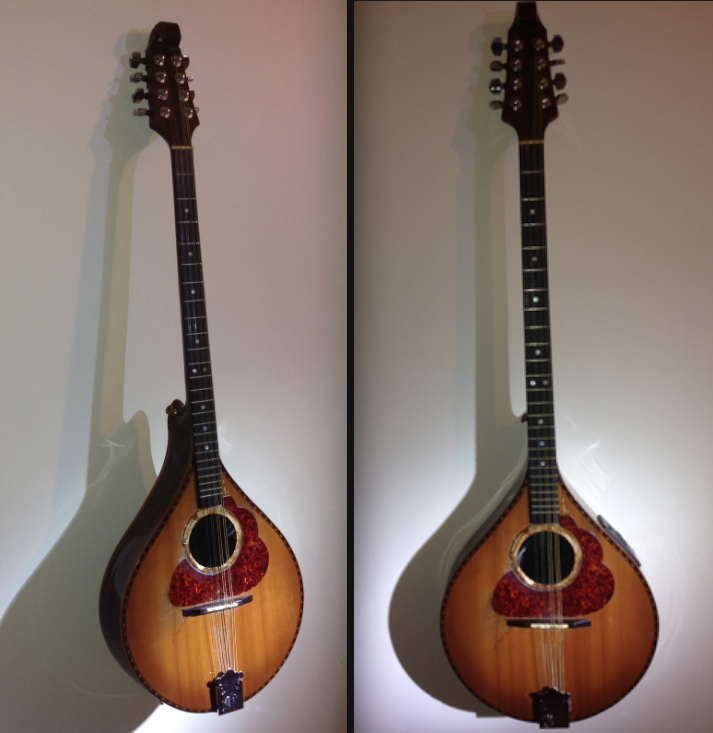 Between them, Dónal Lunny and Andy Irvine have careers that read like a ‘Who’s Who’ of popular music. Lunny has produced albums for Elvis Costello, Paul Brady, Clannad, and The Indigo Girls, and composed the soundtracks for Eat the Peach, and Teardrops. As a musician, Lunny has performed on more than a dozen Christy Moore albums, and was an integral part of such notable ensembles as Planxty, the Bothy Band, Mozaik and Moving Hearts. He has appeared on the BBC TV series, Transatlantic Sessions alongside the likes of James Taylor, Eddi Reader, Diana Krall and others. Donal was MD of the House Band on the recent “Céiliúradh” concert in the Royal Albert Hall, part of President Michael D. Higgins’ state visit to the UK. 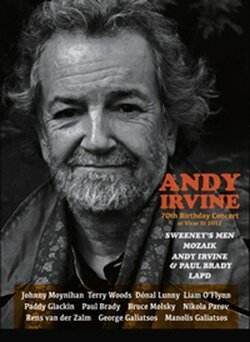 Andy Irvine also performed at this prestigious event. 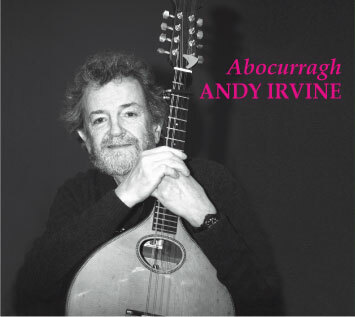 Andy Irvine is an accomplished multi-instrumentalist, singer and songwriter with several solo albums to his credit. Formerly of Planxty & Sweeney’s Men, Andy is a member of Mozaik, and Usher’s Island along with Donal. He has played & recorded with Paul Brady, Christy Moore, Bill Whelan and Davy Spillane, and shared the bill in Dublin with Billy Bragg, celebrating the Woody Guthrie Centenary. He also recently took part in the Imagine concerts in the National Concert Hall, Dublin and the Royal Festival Hall in London.